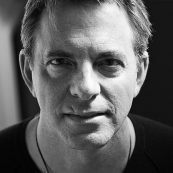 Dan Pallotta is an activist, humanitarian, author, and builder of movements. He is a pioneer in the national eﬀort to transform the way our culture evaluates the character and impact of nonproﬁt organizations. His iconic TED Talk on philanthropy has received more than 4.3 million views. Translated into 27 languages, it is one of the 20 most-commented TED Talks of all time and continues to be viewed nearly 1,000 times a day by people all over the world. His 2016 TED Talk on being has 1.8 million views. He is one of the 100 most-viewed TED speakers of all time. He is a founding collaborator for TED’s Audacious Philanthropy Project. Dan invented the multi-day charitable event industry. He created the Breast Cancer 3-Day walks and the multi-day AIDS Rides long-distance cycling journeys, which raised in excess of half a billion dollars in nine years and were the subject of a Harvard Business School case study. The model and methods he created are now employed by dozens of charities and have raised in excess of $1.5 billion more for important causes from pediatric leukemia to AIDS to suicide prevention. Dan is the founder and President of the Charity Defense Council, which is dedicated to transforming the way the public evaluates charities. He is also the founder and President of Add Humanity, a message and movement-building consultancy that helps innovative humanitarian organizations dream and grow. Dan has given hundreds of talks on philanthropy and innovation in the United States and abroad. He is a William J. Clinton Distinguished Lecturer and recipient of the Liberty Hill Foundation Creative Vision award, the Triangle Humanitarian of the Year award, and the Albany State University International Citizen of the Year award.